We’re not big on labels; not on our clothes, our personalities, or our lifestyle. In essence, as a bunch of human beings, we’re just much too lazy to spend energy on working out what the right stuff to wear, things to say, or or way to live is. We are also incredibly contrary. For a start, our collective fondness for the ultimate punky elegance of Doc Martens is well known. We may not possess an abundance of footwear, but who needs more than a pair of Docs for going out and some gumboots for the garden? 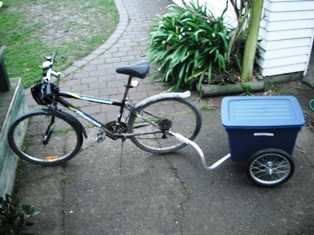 Then there’s the whole “Greenie” thing (you know: the bamboo toothbrush, bike and trailer, “I’ve brought my own bag”, Buy New Zealand Made, We-Try-to-Tread-Lightly-on-This-Earth hoo-hah) when the New Zealand made stuff we put in our own bags, stow in the bike trailers, and trundle to the Homestead is bought with dollars earned serving one of the biggest ecological sinners on the planet. 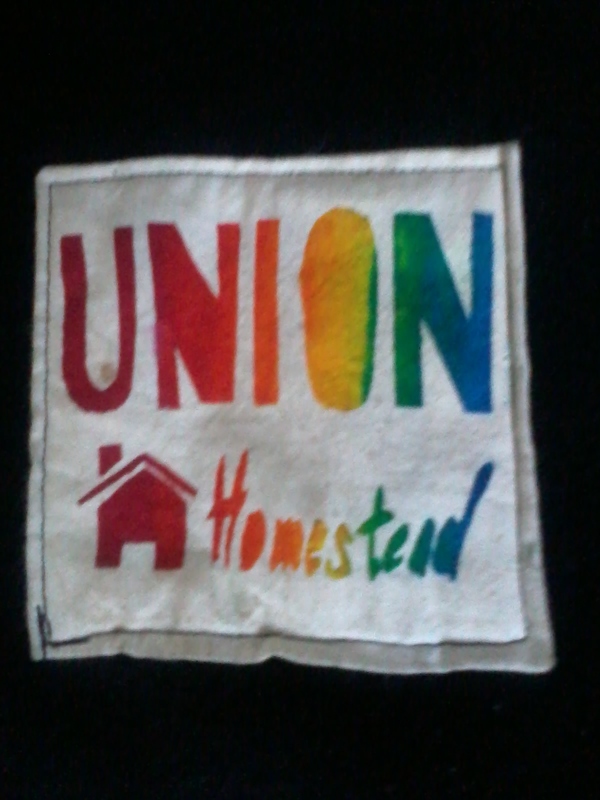 Finally, we go and slap a label on ourselves: Union Homestead. We promise there are perfectly understandable, logical reasons for all this contradictory behaviour. Rest assured each one of these anomalies (and the many other ones as yet undisclosed) have been subjected to a great deal of HD*. 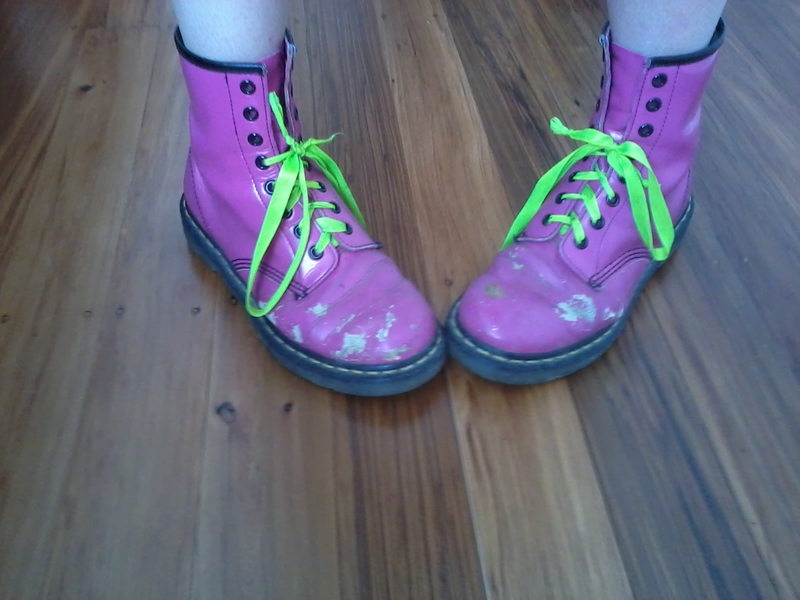 For example: one pair of Docs lasts a long time; the Goat Herd’s neon pink pair have seen her through the four years of her Mech Eng degree with all the workshop experience, missed bus walking, and mandatory “socialising” (honestly!) this encompasses and still have a good many kilometres left in them. It is also a sad fact that the Green Industry is very youthful, the Bean Counter less so than he used to be, and our vegetable garden still leaves a few gaps in our dietary requirements. 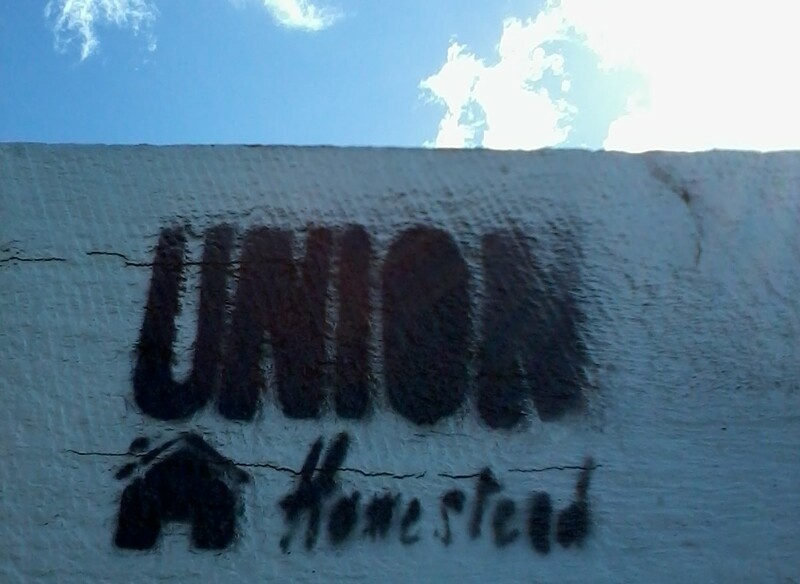 And Union Homestead? Somehow endowing the hours spent on obsessive gardening, chicken tending, goat herding, home eco-ing, and Saving the Planet in Our Own Backyard with a name, validated it. It was us saying, “These are our beliefs and this is how we live.” I don’t know what we expected to happen with this disclosure; Dinner table conversation generally concluded we would be branded as hippy freaks. Instead we found people suddenly understood what we were trying to do. Actually, they not only understood it, they celebrated it. It’s true, we’re just lucky with the suburb we find ourselves living in. New Brighton is a fun-loving, social, slightly hippy-dippy, and hugely tolerant hodge podge of humanity. Backyard chickens are pretty much the norm here, as is growing brassicas among the flowers in your front garden. Having said that, before the earthquakes we knew very few of our immediate neighbours. There’s something about queuing for your drinking water and to empty your chemical loo that breaks down those figurative six foot fences we Kiwis tend to build around us to match the ones around our houses. 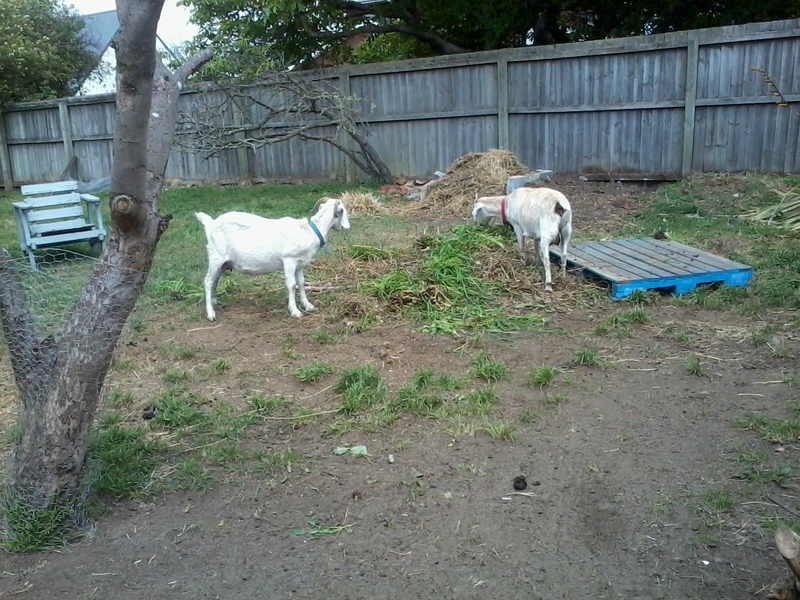 But even then we worried about introducing the goats; Goats are farm animals. What were the chances that we would end up with neighbours who think a hungry goat bleating in the morning, “lovely”? As our T Shirts proclaim, We Love New Brighton. Where else in the world would you come home from doing your groceries to find your front grass verge beautifully mown and a squeakingly fresh heap of luscious, shiny ivy (Nessie and Leia’s ultimate decadent treat) on your front lawn? New Brighton Neighbours are one thing, but what about extended family? This week saw the Spanish branch paying a trip downunder; the Bean Counter’s Bro and family. A Bean Counter whanau* BBQ at the Homestead was proposed – all good fun in the heat of the moment but heart poundingly scary in reality. How to cater for the hugely diverse palates, ages, and experiences without compromising the Union Homestead way? Okay, we confess: We did buy in potato chips and one clove of USA grown garlic (our supply was used up long ago and the new stuff is not quite there yet), and the chicken and goat paddocks were scrupulously raked to lower the whiff of farmyard, but no amount of frenzied activity, store-bought goodies, and a gorgeous beach two minutes walk away were going to turn this place into conventional; And nobody wants the visitors counting the moments until they can flee. How silly we feel now. Miss Aimee can assist the Homestead as apprentice milk maid and general farm hand (if not the greatest fan of the humble broad bean) anytime, and Sir Sean and Farm Girl are kindred spirits. Bless Los Bean Counters, the D’s, and the elders, for being such gracious, accepting, fun-loving, good company; you are welcome to partake of a good sized hunk of Nessie-Leia Feta (now trialing: garlic infused) and a glass or three of whatever you fancy, on the Homestead deck, anytime. 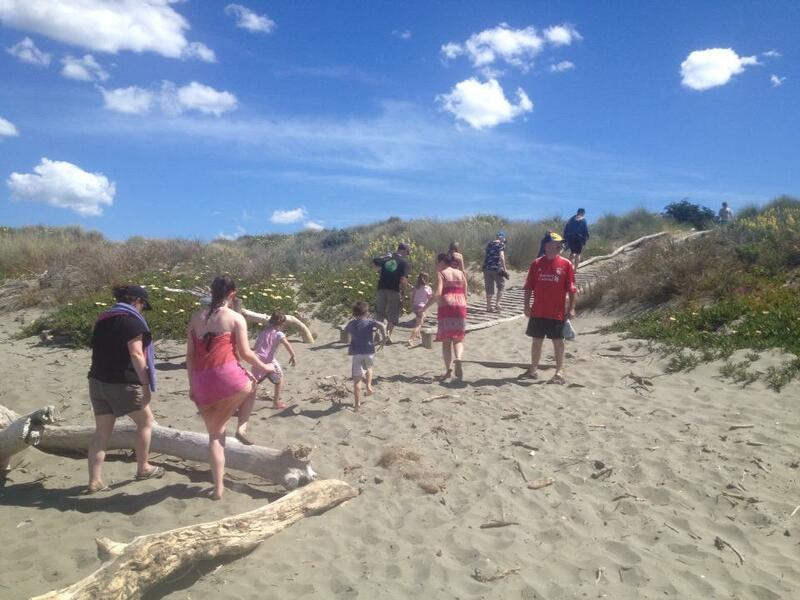 This entry was posted in Family, Union Homestead and tagged beach, Buy New Zealand made, Community, Doc Martens, Family, Goat, Goatherd, Gumboots, Homestead, Kiwi, New Brighton, New Zealand, summer, Union Homestead. Bookmark the permalink.